Okay, I’ll admit it, like many folks, I am a total sucker for sunsets. 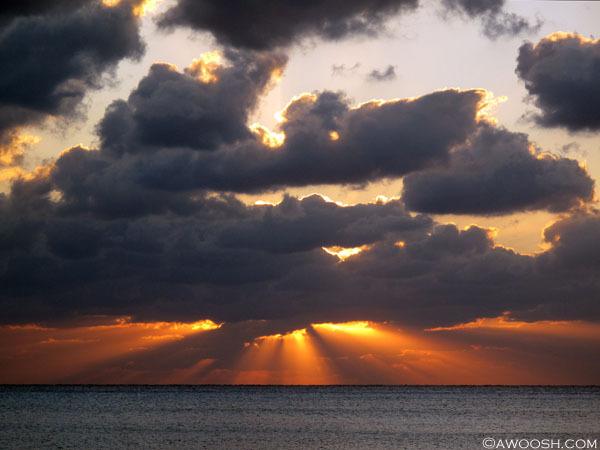 This one was captured in Grand Cayman, a couple of years ago. Today I was surfing through an archive of images from this trip that I took with my bud Miz Gills (aka Gunard), and I found a series of beach scenes and sunset images I had taken with the Canon G10 digicam. As I wrote last week, this little camera has become my favorite for land shots, as it is lightweight to schlep around and there are no decisions about which lens to screw on. I can’t recall if I shot this in auto mode or manual. Either way, it was a gorgeous sunset and I only hope I did it justice. This entry was posted in Photography, Pic of the Day. Bookmark the permalink.